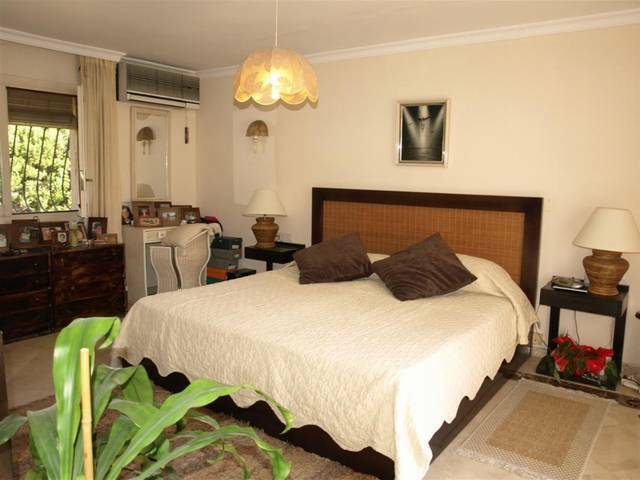 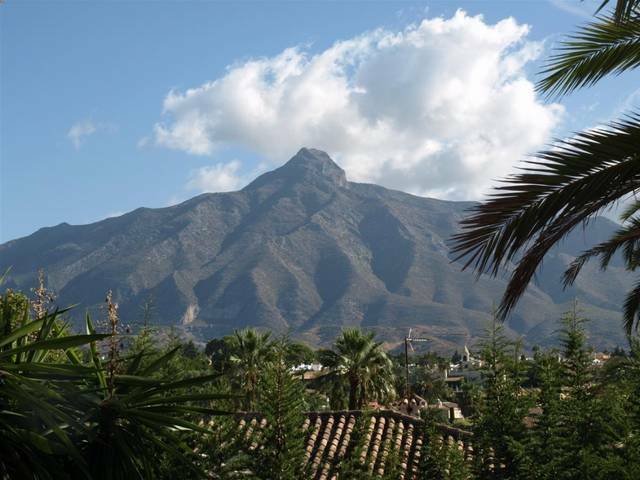 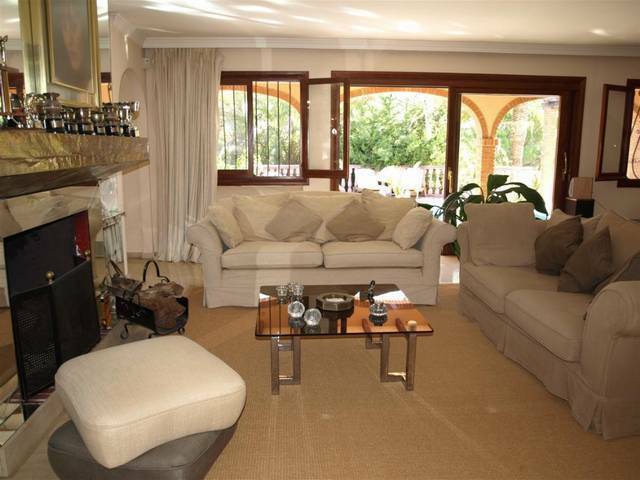 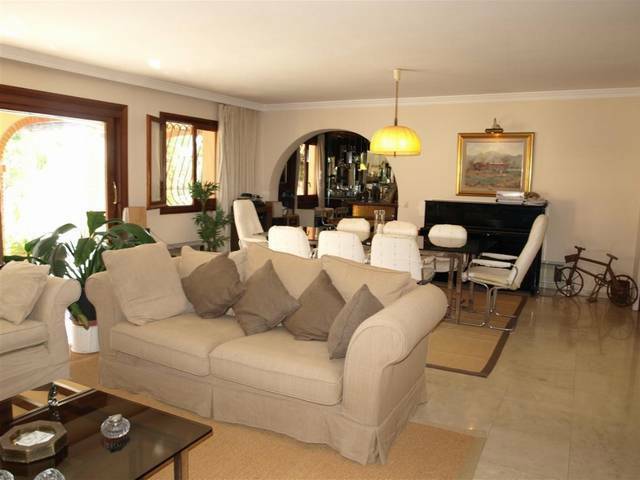 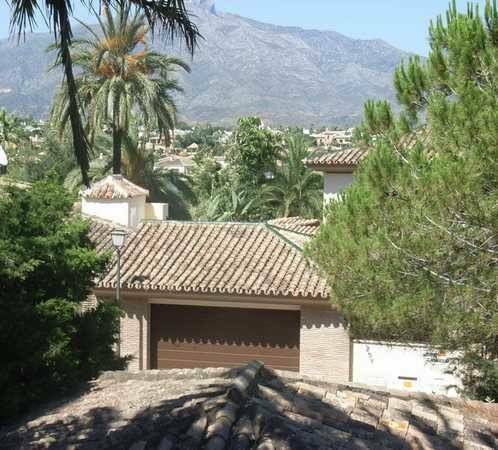 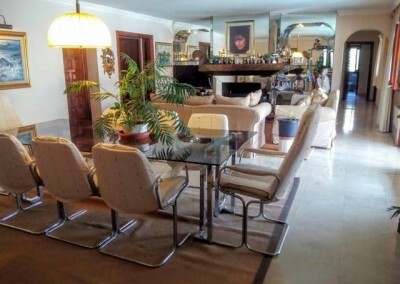 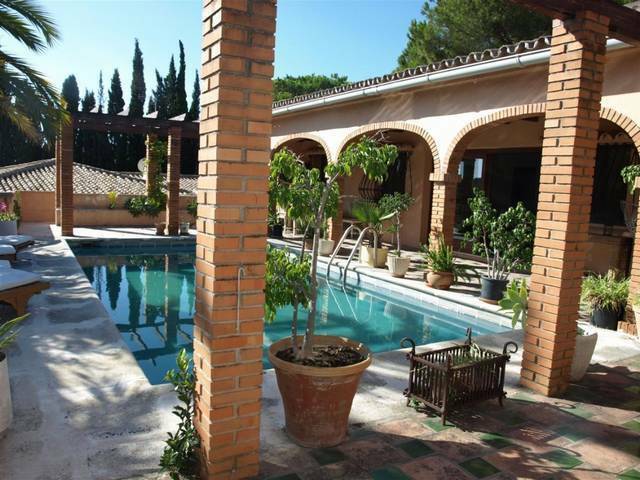 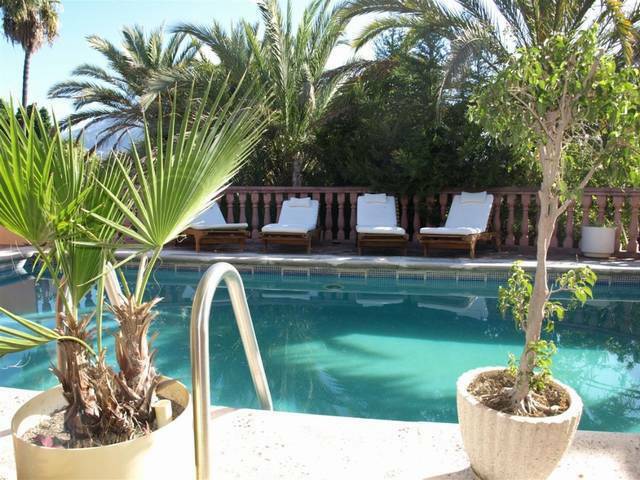 A good size 5 bedroom villa for sale in one of the best areas of Nueva Andalucia, Las Brisas. It is close to all amenities including bars, restaurants and much more… However it is still located in a quiet location. 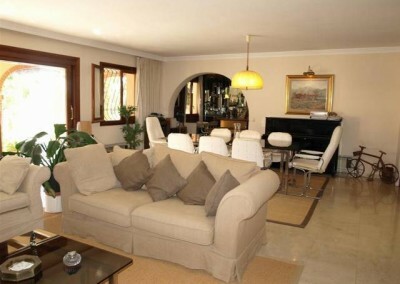 Competitively priced, this 5 bedroom home has entrance hall leading to living and dining area. 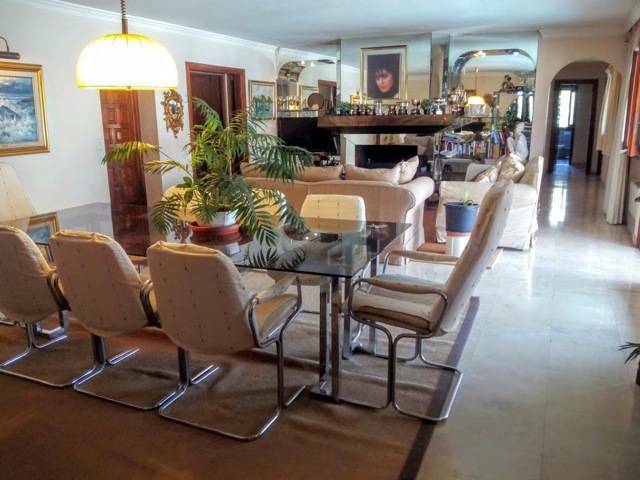 There is a bar, kitchen and pantry on the ground level. 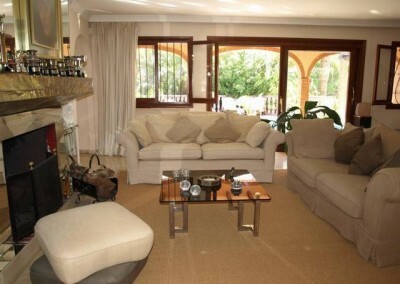 The property also has wine cellar in a large basement which provide lots of potential opportunities to renovate. 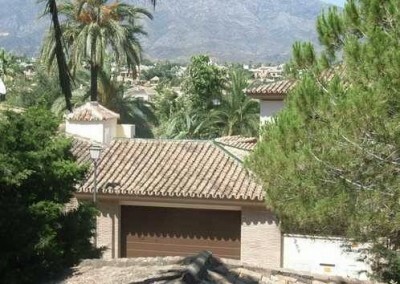 The property also has A/C pre-installed and a large garage for 2 cars. 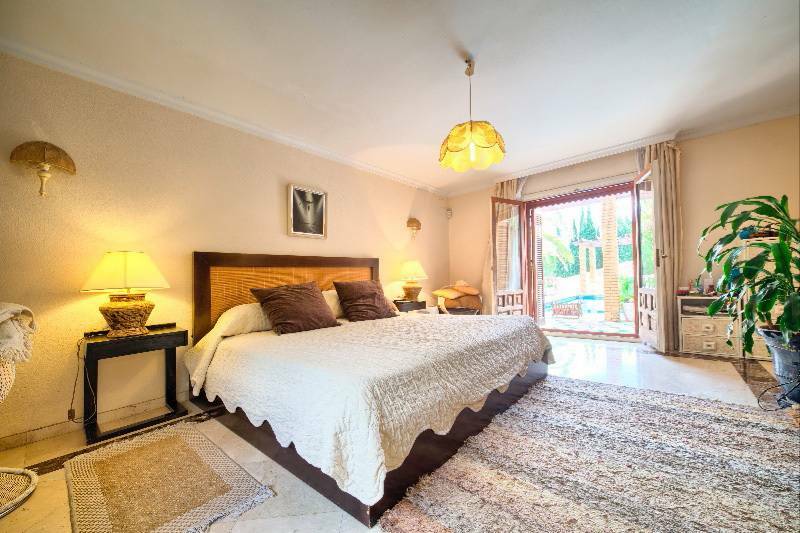 This particular villa has one of the bedrooms and bathrooms separate from the main house and the garage also has potential to convert to another guest house.